The correct redistribution strategy and taking into consideration the patient’s own hair characteristics is the principle to the secret of a successful hair transplant. The design and planning is at least as important significance as the calculation of the donor resources. Of course it is impossible to replace like for like hair at a 1:1 ratio to the receiving surface as the donor area is a finite resource and cannot sustain that need. It is the approach to redistribution with a lower mathematical density but a density that can achieve an aesthetic cover. The aim is to create sufficient masking of the scalp, so that the scalp colour is no longer visible. 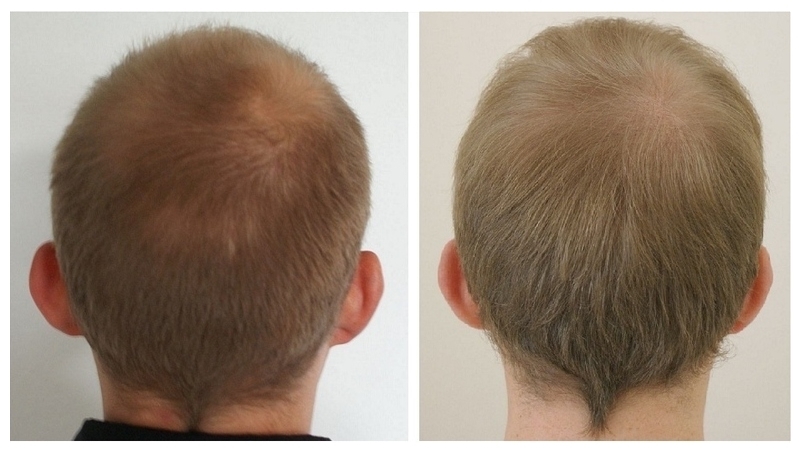 A quality Hair Transplant result depends not only on the density placed but also the hair characteristics of the patient, such as the thickness, colour and texture of the hair in the donor area. Since each person has variants in their hair characteristics and personal expectations we place great importance on assessing each case on its own merits; we believe only when this is understood the result will be completely natural and aesthetically pleasing, reaching our patients goals. The thicker the diameter a hair shaft, the greater the surface it will cover, this can easily demonstrated. Take a thin pencil and hold it parallel over a white sheet of paper, the resulting shade below you can interpret as the coverage, take in the other hand a thicker pen and look at the much larger shading that results on the sheet of paper. The thicker the diameter of the hair shaft the more shadow or coverage is produced to cover the scalp; combined with any wave or curl will also help the illusion to be made. The greater the colour contrast between hair colour and the skin-colouring the more we will see the scalp through the hair; this is resolved by placing more hair to cover the scalp. 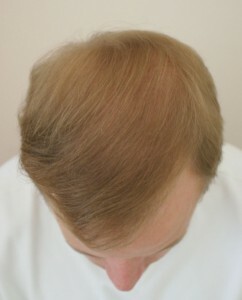 Alternately the lower the contrast the less we notice the scalp and can reach a scalp coverage with fewer hairs. You will see here two patients with different colour contrast between hair and scalp, the lower the contrast, the greater the illusion of density. The longer the hair, the more shadow is produced and the more coverage is achieved. To achieve the best result from a hair transplant the hair must be a certain minimum length; this is a prerequisite to achieve the desired coverage and result. If the hair is cut too short the result can look below par as there is little or no coverage of each hair over the next, this is a physical fact. Marketing that promotes very short hairstyles for hair transplants is to be treated with caution because such promises have very little to do with reality. It comes down to simply the law of physics that thick long hair will cover the scalp better than thin short hair. With thick and long hair the light does not penetrate so easily to the scalp and reflects back less according to skin colour. As the goal of a hair transplant is to block the appearance of the skin there needs to be a reasonable compromise between graft density and the hair characteristics to achieve this. Therefore, it is aesthetic sense the transplanted hair is left to grow a little longer in order to increase their optical efficiency. The difference in coverage quality is not so much so much due to the surgery but by wearing your hair at a certain length, longer hair demonstrates the positive effects on coverage. Besides the hair length a suitable hairstyle is just as important to achieve a good result. In principle the cover is best if the hair is laying in their natural growth angles, the flatter the hairs are on the scalp the more shadow is created and more shading is achieved, but a natural hair style is always achievable after a hair transplant. Read here , what questions are asked most often.